When it comes to starting a business (especially manufacturing startups), the cost of it all can be the difference between having a business that is a success or having one that quickly fails. Naturally, you can think about just spending less, but that isn’t always going to be the solution that works (in fact, some startups will need the opposite to get them started and off the ground). Working smarter is definitely key when it comes to starting a business, rather than working harder, and looking to use the best products, rather than inferior, can be one thing to do too. There may be more cost involved, but long term there can be benefits of working in that way. You need to look for an effective way that is cost-efficient to get the right solutions for the processes that you will have, or need to have, in place. Small actions can make a difference when it comes to business. Here are some of the ways that you could save. You need to make an assessment of the whole process that your business has so that you can decide the approach to take. There will be specific processes, materials, technology, and procedures that a manufacturing business will have. While you do need to think about the return on your investment, you don’t want to make changes that are going to finder the quality that you can offer or reduce the satisfaction of customers. When that happens, your business can quickly go downhill from there. There are several things that you can do, though. You could look for better materials to use, such as Cu plating or raw materials that are going to be a benefit to what you are manufacturing, and that will help you to save money because you will have a better and longer lasting product. If you want to be more efficient, where working smarter and not harder comes in, then you need to look at the core processes that your business has, in order to optimize those processes. Speak to the people you are working with to alter how things are done or tweak what isn’t working as efficiently. You should also look to embrace and use different technologies to help the processes that your business has run more smoothly. Many manufacturing businesses are going to be looking out for things that will save them money, so that their bottom-line can be improved. So what you should be doing is to make ROI a priority in your business, and make sure that you are regularly looking to streamline how you do things so that you can get more back for less (or with less). Be on the lookout for different ways to save money as you go about your daily business. 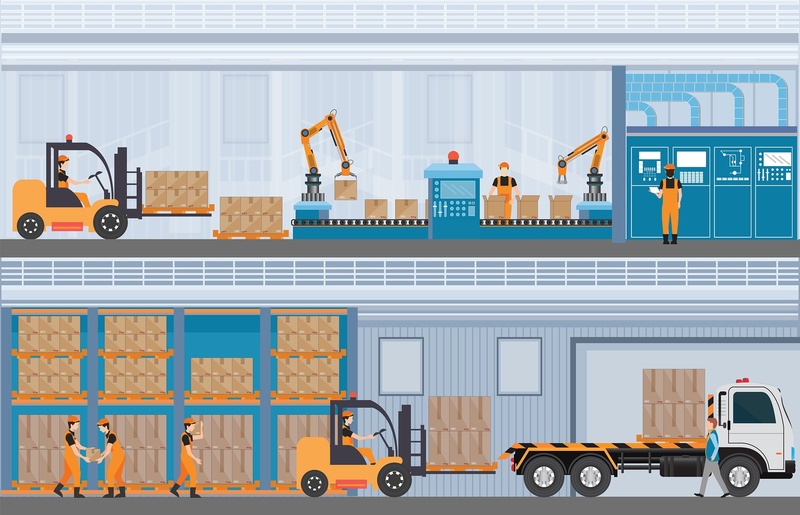 This can help your business to thrive and stay afloat, but also help you to generate a manufacturing business that is able to move with the times and thrive too.